Security systems from Sierra Communications provide advance warning of the most serious threats to your safety. Whether the danger comes from intrusion, fire, or environment problems, our sensors detect the problem and respond automatically. This quick response allows the Central Monitoring Station to dispatch help immediately. You determine who is notified in the event of an emergency. Affordable, reliable and easy to use... your security system provides peace of mind. At home or at your place of business, you can protect your most precious possessions. The system has state-of-the-art controls and finely-tuned sensors. From burglary protection to sophisticated lighting control, these security systems are flexible and affordable. A free on-site consultation by our certified technicians helps you determine which system is right for you. Your system will be customized to address all your security needs. Installing a security system in your home or business can provide additional savings on your insurance. Most insurance companies offer discounts ranging from 5% to 25%. Check with your insurance provider to determine the savings available to you when you install a security system. From burglary protection to sophisticated lighting control, these security systems are flexible and affordable in price. Simon is a wireless system. It is easy to install and is easily upgraded as your needs change. Unlike hardwire systems, there is no need for holes to be drilled or wire to be threaded through walls. Concord is a wired/wireless system used in larger buildings or new construction. It offers a wide range of features not available with the Simon Security System. Help is within reach with a CareGard security system. Particularly suited for the elderly and those living alone, Caregard is always at your side. Panic sensors let you activate an alarm in or near your home. You may want a Panic Sensor next to your bed or bathtub. People with health concerns might want several throughout the house in case of a personal emergency. A portable panic button, called a Pendant Sensor, is available with your CareGard security system. It can be carried with you during the day and put on your bed stand at night. Pendant Sensors are waterproof and can be worn in the tub or shower. Activity sensors,which are optional, can be placed within your home, detecting motion that occurs in your daily routine. 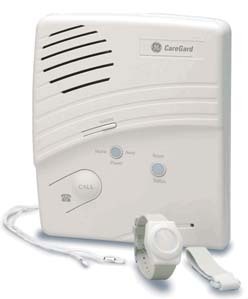 If no activity is detected in a programmed period of time, Caregard sounds a low siren for five minutes. If everything is okay, you simply reset the system. But if nobody resets it within five minutes, it could indicate trouble. A signal goes out to the Central Monitoring Station and they can call you or send someone out to investigate. If something should happen and you’re unable to press a panic button, it’s never long before help is on the scene. And that’s comforting to know. Whenever the system detects a problem, a message is transmitted to the Central Monitoring Station. The monitoring station, staffed 24-hours daily by trained professionals, will immediately dispatch the appropriate help. 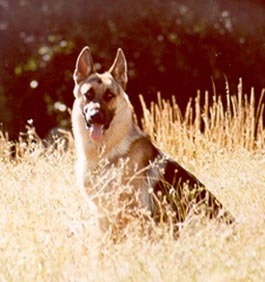 In addition, your security system will sound an alarm to alert you to the situation. Most importantly, you determine who is notified in the event of an emergency.